Q: I was at a tournament on the weekend and the scorers made a mistake on the score sheet. They did not count a three-point shot our team had made on the scoreboard. I asked for a score check during the game and the official told me that they couldn't change the score because that's what the running score showed. At half-time, the scorers realized that they had recorded the 3 beside the player's name but forgot to mark the running score. I was told by the official that the running score cannot be changed even though it should have been three points higher for our team. It didn't affect the outcome of the game so it wasn't a big deal. The following week at half-time a different official changed the number of fouls by a player of the opposing team. They said they thought that player had only three fouls, but the score sheet had the player listed with four. My assistant coach thought it should have been 4, but because we couldn't identify every single foul the player in question the official reduced the player to four fouls and a different player was assessed the foul in question. I'm not 100% sure if this would have changed the final result, but this was one of their star players and it would have certainly changed the dynamic of the game if this player had four fouls to start the second half. I'm just curious if both of these situations were handled correctly so I know for myself in the future. I am a little confused how in one game I am told that the score can't be changed even though the scorers have admitted a mistake and then in the next game the score sheet is changed in the middle of a game at half time. A: In reference to your first question around the score, the score can be changed, in consultation with the Crew Chief, anytime until it has been signed by the Crew Chief following the completion of the game. The running score is the official score in the game. If neither the Scorekeeper or the officials have any knowledge of a difference in the running score to the actual score, the running score may not be changed. B.11.6 Whenever possible, the scorer should check his running score with the visual scoreboard. If there is a discrepancy, and his score is correct, he shall immediately take steps to have the scoreboard corrected. If in doubt or if one of the teams raises an objection to the correction, he shall inform the crew chief as soon as the ball becomes dead and the game clock is stopped. 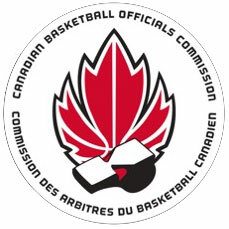 B.11.7 The officials may correct any error in scorekeeping involving the score, number of fouls or number of time-outs under the provisions of the rules. The crew chief shall sign the corrections. Extensive corrections shall be documented on the reverse side of the scoresheet. So in this case, since the Scorekeeper had the knowledge, the score should be corrected once discussed and approved by the Crew Chief. In terms of your second question, if the officials have absolute knowledge of an inaccuracy to the number of fouls, that may also be corrected anytime until it has been signed by the Crew Chief following the completion of the game. So, in this case, the officials were correct in making the change.